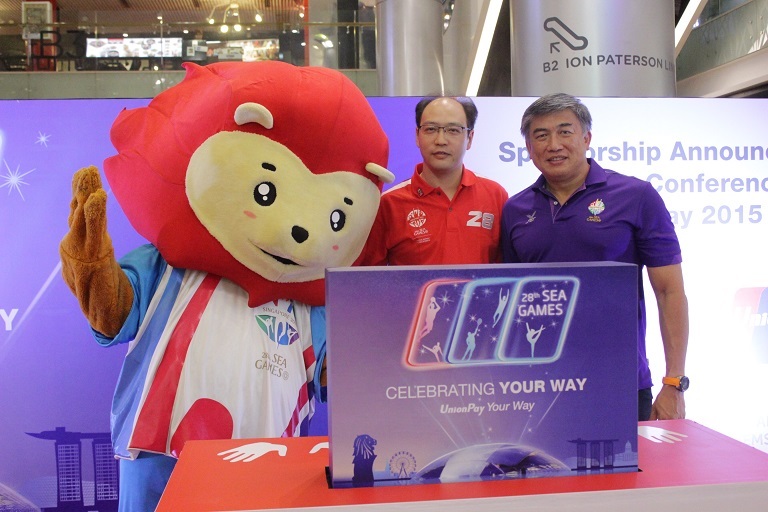 UnionPay International will pledge more than S$1 million to the SEA Games, and will provide free hot air balloon rides for the public during the SEA Games Carnival. UnionPay International (UPI) announced on Thursday (May 14) it is now the official payment systems sponsor of the 28th SEA Games. UPI will facilitate the movement of payments related to the Games, said the company’s General Manager for Southeast Asia Wenhui Yang. “We will provide promotional offers which people can enjoy when they use the card,” added Mr Yang. As the latest sponsor of the Games, UPI pledged more than S$1 million to the biennial event. The company is also planning to provide free hot air balloon rides for the public as part of the SEA Games Carnival, which will be held on the May 31 to Jun 16 in Singapore. The hot air balloon, to be located at the Sports Hub, will only move vertically for safety reasons, as there are big structures in the vicinity, said Singapore SEA Games Organising Committee (SINGSOC) Exco Chairman Lim Teck Yin. The rides will be subject to approval from the authorities. Mr Yang added that more details on the hot air balloon rides will be revealed soon.